A U.S. resident alien's income is generally subject to tax in the same manner as a U.S. citizen. If you are a U.S. resident alien, you must report all interest, dividends, wages, or other compensation for services, income from rental property or royalties, and other types of income on your U.S. tax return. You must report these amounts whether they are earned within or outside the United States. U.S. resident aliens are generally taxed in the same way as U.S. citizens. 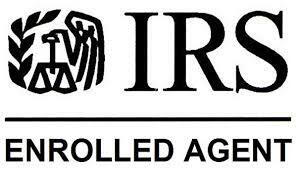 This means that their worldwide income is subject to U.S. tax and must be reported on their U.S. tax return. Income of resident aliens is subject to the graduated tax rates that apply to U.S. citizens. Resident aliens use the Tax Table and Tax Rate Schedules which apply to U.S. citizens found in the Instructions for Forms 1040, 1040A, or 1040EZ. U.S. resident aliens can use the same filing statuses available to U.S. citizens. You can claim the same deductions allowed to U.S. citizens if you are a resident alien for the entire tax year. You should refer to the Form 1040 and its instructions for more information on how to claim your allowable deductions. You can claim personal exemptions and exemptions for dependents according to the dependency rules for U.S. citizens. You can claim an exemption for your spouse on a Married Filing Separate return if your spouse had no gross income for U.S. tax purposes and was not the dependent of another taxpayer. You can claim this exemption even if your spouse has not been a resident alien for a full tax year or is an alien who has not come to the United States. You can claim an exemption for each person who qualifies as a dependent according to the rules for U.S. citizens. The dependent must be a citizen or national of the United States or be a resident of the United States, Canada, or Mexico for some part of the calendar year in which your tax year begins. Get Publication 501, Exemptions, Standard Deduction, and Filing Information for more information. Refer also to Aliens - How Many Exemptions Can Be Claimed? CAUTION: Your spouse and each dependent must have either a Social Security Number or an Individual Taxpayer Identification Number in order to be claimed as an exemption or a dependent. U.S. resident aliens can claim the same itemized deductions as U.S. citizens, using Schedule A of Form 1040. These deductions include certain medical and dental expenses, state and local income taxes, real estate taxes, interest you paid on a home mortgage, charitable contributions, casualty and theft losses, and miscellaneous deductions. If you do not itemize your deductions, you can claim the standard deduction for your particular filing status. For further information, see Form 1040 and its instructions. U.S. resident aliens generally claim tax credits and report tax payments, including withholding, using the same rules that apply to U.S. citizens. The following items are some of the credits you may be able to claim: child and dependent care credit, credit for the elderly and disabled, child tax credit, education credits, foreign tax credit, earned income credit, and adoption credit. For further information, see Form 1040 and its instructions. s U.S. resident aliens should file Form 1040EZ, Income Tax Return for Single and Joint Filers With No Dependents, Form 1040A, U.S. Individual Income Tax Return or Form 1040, U.S. Individual Income Tax Return at the address shown in the instructions for those forms. Generally, the due date for filing the return and paying any tax due is April 15 of the year following the year for which you are filing a return. You are allowed an automatic extension to June 15 to file if your main place of business and the home you live in are outside the United States and Puerto Rico on April 15. You can get an automatic extension of time to file until October 15 by filing Form 4868, Application for Automatic Extension of Time To File U.S. Individual Income Tax Return, on or before April 15 (June 15 if you qualify for the June 15 extension). See the instructions for the form you are filing for more information. If you are a U.S. citizen or resident alien living or traveling outside the United States, you generally are required to file income tax returns, estate tax returns, and gift tax returns and pay estimated tax in the same way as those residing in the United States. Your income, filing status, and age generally determine whether you must file a return. Generally, you must file a return if your gross income from worldwide sources is at least the amount shown for your filing status in the Filing Requirements table in Chapter 1 of Publication 54, Tax Guide for U.S. Citizens and Resident Aliens Abroad. If you are the dependent of another taxpayer, see Chart B - For Children and Other Dependents in the instructions for Form 1040 for more information on whether you must file a return. You must express the amounts you report on your US tax return in US dollars. If you receive all or part of your income or pay some or all of your expenses in foreign currency, you must translate the foreign currency into US dollars. Information about currency conversion can be found at Foreign Currency and Currency Exchange Rates. Gross income includes all income you receive in the form of money, goods, property, and services that is not exempt from tax. In determining whether you must file a return, you must consider as gross income any income that you exclude as foreign earned income or as a foreign housing amount. If you are self-employed, your gross income includes the amount on the Gross Income line of Schedule C (Form 1040), Profit or Loss from Business, or the Gross Receipts line of Schedule C-EZ (Form 1040), Net Profit from Business. In addition, you may be liable for filing Form 8938, Statement of Specified Foreign Financial Assets, if you have an interest in specified foreign financial assets with a value above the reporting threshold that applies to you. Other forms that you may have to file include Form 3520 or Form 3520-A if you made contributions to or received income from a foreign trust or received a gift from a foreign person. FinCEN Report 114, Report of Foreign Bank and Financial Accounts ("FBAR") (formerly TD F 90-22.1), must be filed if you had a financial interest in, or signature or other authority over, a bank, securities, or other financial account in a foreign country, the value of which exceeds $10,000. You do not have to file the report if the assets are with a U.S. military banking facility operated by a U.S. financial institution or if the combined assets in the account(s) are $10,000 or less during the entire year. File the FBAR electronically through the BSA E-File System. If you are unable to E-file, you may contact the FinCEN Regulatory Helpline at 800-949-2732 to request an exemption. If you are calling from outside the United States, call 703-905-3975.
sEffective for tax years beginning after December 31, 2015, you must file this form by April 15 each year, with a maximum extension to October 15. The FBAR form is not a tax return, so do not attach it to your Form 1040.